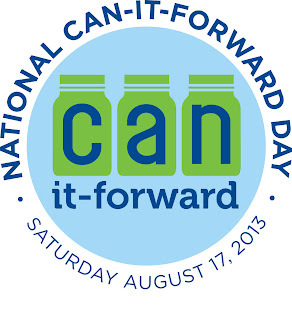 Tomorrow is National Can-It-Forward Day! YAY! A lot of my readers are enthusiastic canners, and a lot have never canned before. Tomorrow I'll be posting video links AND a giveaway! Be sure to come back for that. My daughter, before this year, had never canned before. She enjoys homemade jellies and jams made by me, and by some of our family friends. But it was kind of intimidating for her. 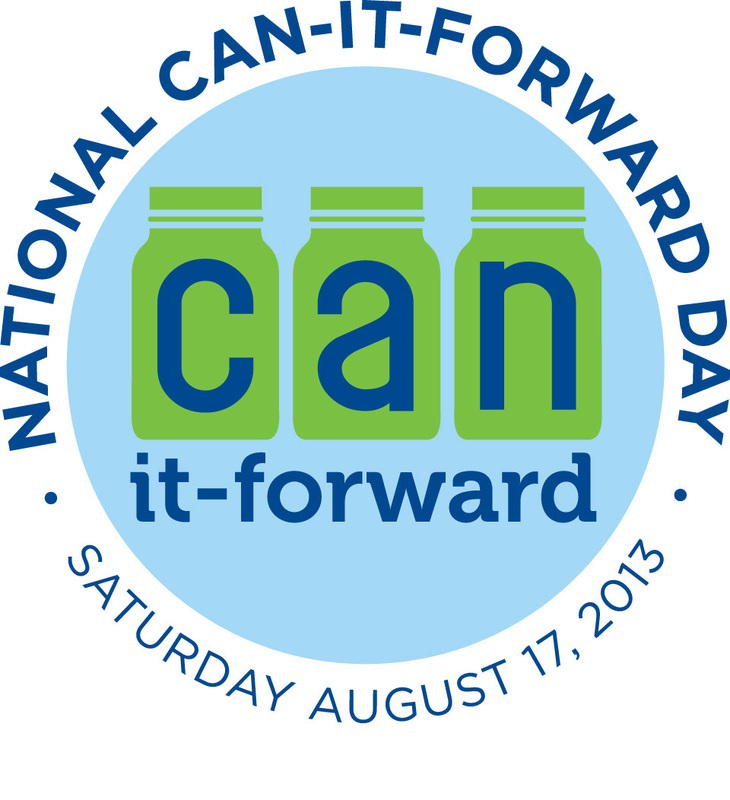 Part of National Can-It-Forward is encouraging people to try it. Ball® sent me a current Ball® Blue Book, a Ball® Home Canning Discovery Kit, a case of the gorgeous Heritage blue jars, labels, pectin and a Ball® FreshTech Automatic Jam and Jelly Maker free for review purposes. The Ball Blue Book and Canning Discovery Kit are reviewed here. So why can your own jelly and jams? Well, the most obvious answer is that if you grow berries and other things, you may want to preserve your harvest to enjoy through the winter. But even if you don't, there are still good reasons to can. You have absolute control over the ingredients. You can pick the flavors and types of things you want to can, your home canned goods won't contain high fructose corn syrup or other ingredients that are used to cut costs commercially. You can save money by canning too. The jars and bands are reusable. The only thing you need to replace every time is the lids themselves. That's because the compound on them to seal your jars is one use only. All of those were made by The Amazing Turnip Girl. From left to right are stewed rhubarb (rhubarb from our garden), raspberries (also from our garden, and jelly made from store bought juice. Yes. Store bought juice. Because jelly making can be ridiculously easy. So easy you'll wonder why you ever bought jelly. She used the FreshTech Jam and Jelly Maker to make everything but the rhubarb. Go to FreshPreserving.com for a bunch of great recipes! Using the FreshTech Automatic Jam and Jelly Maker, you can go from fruit juice, pectin and sugar to jelly in a half hour in only a few steps. You add your juice and pectin, then when it beeps, add in sugar. It will make 4 cups of jelly at a time. So you can make 1 pint jars, 4 half pints, or 8 little 4 ounce jars to give as gifts. It has a non-stick surface and cleans easily. It got TG's seal of approval, she's just thrilled with it. Use your favorite 100% juice, it can be made from concentrate, or canned juice. She chose Juicy Juice Fruit Punch for her first jelly. You can freeze or can the jelly to preserve it. For my family, we go through about a pint a month. Because this is so easy, with no standing and stirring time, I asked her if she wanted to make jelly regularly that way. She said "Oh yes!" and started considering other juice flavors. So I broke out my pencil and paper and worked out the cost. Remember, Alaska is a little more expensive than that lower 48 states, so chances are good you can make your own jelly even more thriftily. The recipe in the included booklet calls for 3 cups of juice, 4 tablespoons of pectin, 3 1/3 cups of sugar and a 1/2 tsp of butter. So at premium prices for the sugar and juice instead of buying frozen concentrates or canned juice, and getting a name brand juice- it's 4.28 to make 32 oz of jelly! Can't beat that for something you know is the flavor you want and made without high fructose corn syrup or any of the other things that might be hiding in a jar of store bought jelly. You can make savory jellies to use as glazes. 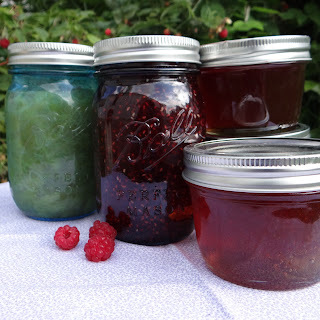 If you've ever made jelly the old-fashioned way, with the mashing, milling, straining, standing, cooking, etc, you can appreciate that it's a wonderful way to make jelly, but it's time consuming. Using fruit juice will cut a lot of time from it. When I mentioned it on Facebook, how much fun she was having making jelly- my friends came up with a whole bunch of suggestions including seasoned cider jellies to use on pork, pom/cran for poultry, and cranberry to use with cream cheese for the best ever turkey sandwiches. So did we like the FreshTech Automatic Jam and Jelly Maker? Absolutely. We are planning to put up a lot more batches of jelly, and she's looking forward to giving some of her friends jelly. Now, mine turned out super easy because I didn't have to do even open a bottle of juice. But that's because TG took over very enthusiastically. Your experience probably won't be quite that easy, but it will still be easy. I recommend it to people who haven't made jams or jellies before because it's so easy for small batches, but I also really recommend it for people like me who just can't stand to stir anymore. It takes a lot of the standing time out of the process.